All-in-One Device with 7” LCD Display to Offer Up to 3 Full HD Video Sources Capturing, Mixing, Switching, Recording and Live Streaming. Portable Design for Easy Move and Place. 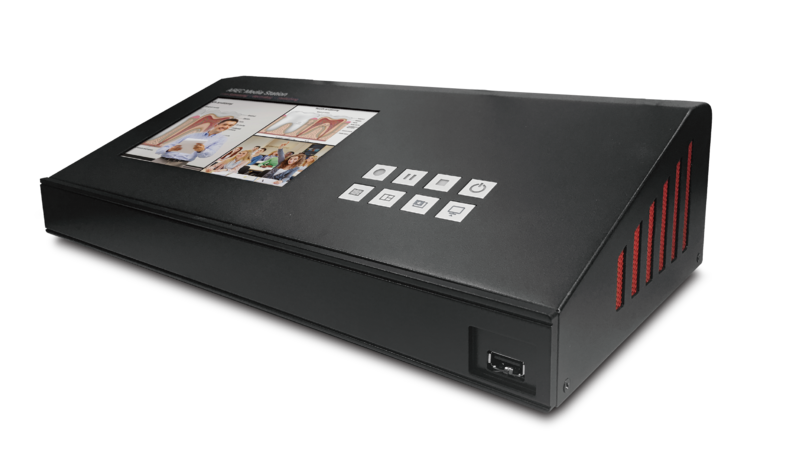 Next Generation System Design Provides a Simpler and More Intuitive Interface. 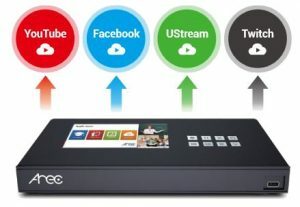 Coming with 7” LCD display, AREC KL-3W is a lightweight, portable and all-in-one Media Station, allowing users to simultaneously capture, switch, mix, stream and record live events in a simple and efficient way. Compatible with AREC AM-601 Wireless Microphone*, AREC KL-3W makes it simple and convenient to stream and record multi-sources activities in demanding portable applications. *Optional accessory, to be purchased separately. KL-3W supports capturing up to 3 video sources through HDMI / VGA/ RJ45 interfaces*. Through suggested video streaming app, KL-3W also can receive live videos from iOS or Android smart phone and tablet. It allows users to add a video source via mobile phone camera or other novel device. With this new feature, KL-3W is compatible with camcorder, laptop, PC, network camera, mobile phone, drone, digital micro-scope, and wireless microphone etc. With audio support, KL-3W can mix audio via HDMI, 3.5mm stereo and AREC wireless microphone. ** To receive a live video from your mobile device, please apply necessary settings in advance. Please refer to KL-3W user manual for more details. 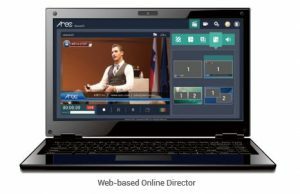 KL-3W provides multi-source live streaming to broadcast the live image and voice of an on-going lecture or event on YouTube, Facebook, UStream, Twitch and other live broadcasting websites, allowing any participant to attend at any location in the world. 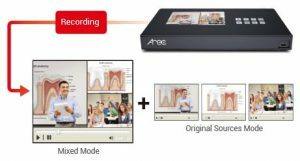 AREC KL-3W supports up to 3-input sources capturing and up to 4 synchronized recording videos. Users can choose mixed recording mode or mixed plus original sources mode respectively. The mixed plus original sources recording mode provides 1 mixed video and 3 individual synchronized source videos for flexible post-production use. 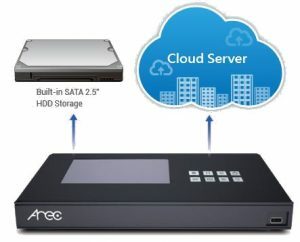 Built-in Online Director, AREC KL-3W provide a more intuitive experience for live production and streaming. It allows users to switch and mix between multiple cameras and digital content sources. It also supports control and monitoring the cameras’ field of view, streaming setting, and adding pre-made background and overlay images for live production. Equipped with 1TB hard drive, KL-3W not only saves hundreds of hours recording videos but also enhances the overall efficiency. To satisfy different requirements, KL-3W also supports automatic and remote FTP backup to keep the recording safe. 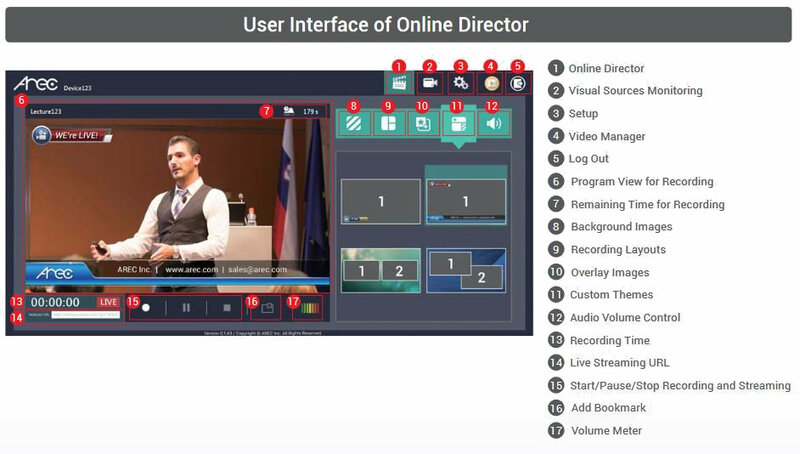 KL-3W adds new features on its Online Director by letting users enjoy the fun of being a video director without any professional experience. Users can easily add pre-made background images, computer graphics (titles), and custom themes when broadcasting. If users just want to record a video with a fixed layout, buttons on the top machine allows for easy operation. Note: users should apply necessary settings to KL-3W and your 4G mobile device in advance. Please refer to KL-3W user manual for more details.